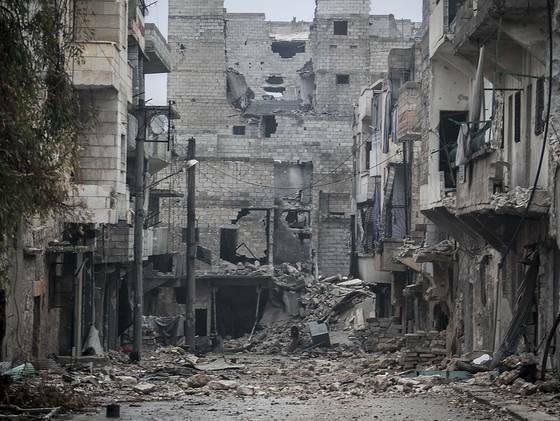 Syria, like so many Middle Eastern countries, is in the midst of a civil war. At the center of the unrest is Syria’s President Bashar al-Assad, and his story of power is all too familiar – the son of the country’s leader for 26 years, and who himself was twice elected after running unopposed both times. 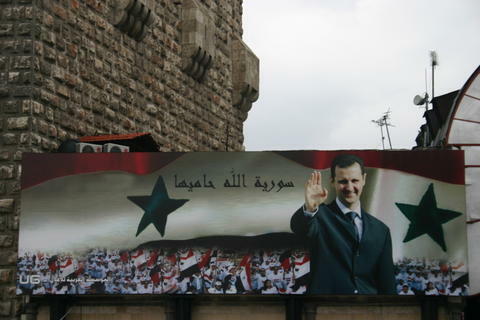 The good news, from what we’ve been hearing, is that his days as Syria’s ruler are numbered. There are several ways in which his regime can be brought down – jihadists against rebels forces, Kurds versus Sunnis or one militia pitted against another. In any case, the CIA feels pretty certain, based on their intelligence reports, that Assad will be gone, one way or another, before the dawn of 2013. What really matters in all of this is how the West, and more specifically, the United States will deal with Assad and his forces during the next few weeks. Information has been coming out about the assembly and stockpiles of chemical and biological weapons, supposedly done at the behest of President Assad in defense against the rebel armies. On Saturday, British Foreign Secretary William Hague reinforced the reports of both the existence of the weapons and the threat of their use by stating “We have enough evidence to know that they need a warning and they have received that warning.” He went on to suggest that if Assad acted on his threats, and turned the weapons on his own people, Western nations would engage with airstrikes. Secretary of State Hillary Clinton backed up those warnings by declaring that the use of chemical weapons on the Syrian people would amount to a red line that Assad and his supporters should cross at their own peril. Syria’s President, along with his supporters, answered back saying that the U.S. and Great Britain were lying about the weapons in a game of propaganda meant only to serve their real goal – to attack Syria and destroy Assad’s regime. So far, neither of the Western nations have done anything which even remotely looks like a plan to attack. Rather, the U.S. and Great Britain have acted only so far as to offer humanitarian aid and what is considered “non-lethal” support for opposition forces. Diplomacy and sanctions have been the routes taken, and, as of right now, nothing sounds like the winds of war. So, why so much noise about chemical weapons? If Great Britain and France and the United States are interested in no more than just a supporting role in this civil dispute, then the opposition forces should be left to deal with their country’s problem as they see fit and by whatever means they find necessary. Of course, there’s always the possibility, if these weapons do in fact exist, that they could fall into the hands of extremists like Hezbollah, the Al-Nusra Front or al Qaeda, which would present an entirely different problem. Not only would Syria and its’ closest neighbors be at risk, but allies such as those who supported the rebels could be raising the ante for terrorist activity against them. There are more ifs than there are answers. Given the fact that we’ve already gotten into a war on reports of weapons of mass destruction, one can’t help but feel that this could be another instance of misinformation fed to the public to garner support for some other unknown agenda. If they do exist, however, they can’t be ignored. The opposition and their various armies have few resources capable of protecting, removing or destroying such weapons. They’re going to need help from somewhere. Jordanian forces, with the backing of the West, could provide some of the answers and would mean a much smaller role for the United States. The United States, in the interim, could best serve Syria by restating its previous offer of safe passage for Assad. We, along with our allies should also be making preparations to protect some of Syria’s minority sects, which, should all Hell break loose in Damascus, will certainly bear the brunt of retribution in the worst and most horrific ways. Last, but certainly not least, somebody has to have a good long talk with Russia and Iran. The Russians are a pesky lot, and no good can come from their alliances with Iran or Assad’s Syrian regime. I may not be able to see Putin from my backyard, but sometimes I think the reports of the end of the Cold War have been somewhat exaggerated. Both the Russians and the Iranians have been busily sending their own support to Assad and his regime in the form of missiles and munitions. By doing so, not only have they thrown a real monkey wrench into any kind of peaceful solution, but they’ve also threatened the security of Turkey and Israel. If the Soviets and the Iranians continue to supply Assad with weapons, the situation in Syria could go far beyond a civil war and become a global declaration of war. Lebanon has already felt some of the spillover when a gun battle in Tripoli between opposing sides in the Syrian uorising left four dead. It’s a lot to ask of our State Department and the people in our allies’ foreign services, but it has to be addressed. We in the United States, along with Great Britain, France and others whose safety and security are at risk, have to have an endgame. As much as it would please everyone involved to see the rebels take their country back in an orderly and peaceful fashion without any help, it just isn’t going to happen. We in the West will have to step in and step up, and it’s going to have to be sooner than later. If the CIA is correct and Assad has only a few weeks left, then time isn’t on our side. Desperate men do desperate and, oftentimes, deadly things. President Assad is no different. He, and the people who would like him to stay in control, can do a lot of damage while the United States and Russia continue their war of words and play with that line in the sand. The death-toll is already at 40,000 and growing by the minute. While we’re preparing to move our troops out of Afghanistan, the last thing I want is to see us do is put boots on the ground in Syria. I don’t know if this “wait and see” tactic is going to work, but I think we should do something before we’re right back where we don’t want to be – engaging in another all-out, long-term and deadly war. If Assad crosses that red line, we’re in peril as well. This entry was posted in In The News, Politics and tagged al Qaeda, Assad, Russia, Syria. Bookmark the permalink. If I cared at all about anything in that region I might feel a teeney bit of despair. The Middle East is riddled with countries which ignore, participate in or encourage tyranny, civilian abuse, corruption in the region. I just do not care about any of them, including our “friend” Israel. I think the great powers in that area secret adore that Israel is there to distract from their own abuse and gluttony. Why does the US have to be involved with anything over there?? Oh, and Putin is busy with the most amazing Bucket List ever. Taking back his former job (that he controlled while out of office anyway). Flying with migratory birds. Tagging wild tigers. Sleeping with lovely female Olympic gymnists. Putin make Pres O look like such an embarrassing piker. I’m voting for my dream team of the combined Hillary Clinton-Condi Rice 2016 ticket. Psst – How is it that Arafat died while sitting on a personal fortune of 7 billion dollars? Mostly US tax $$. Did we get anything out of that??? Empress, thank you for letting me vent. I do enjoy your ever varied and engaging blogs. Kaereste, You’re not asking anything that hasn’t been the topic of discussion at my own, and probably a lot of other kitchen tables. To be perfectly blunt, we’re there because of our “interests” – economic, strategic and geopolitical. We’ve stuck our noses into the business of other countries and made some bad choices as to who is or who isn’t a friend or an ally of the U.S. So, now we’re stuck with those choices and some of the messes our choices have left us with. We’re damned if we do and certainly damned if we don’t, if you will. Yep, I’d rather have seen those tax dollars be better spent here at home instead of falling out of the cargo doors of C-130’s over the desert region du jour. The best we can hope for now is that we leave just the tiniest of footprints, with the least amount of effort and loss of life, and then let Syria or whoever, start taking care of things for themselves. Hillary-Condi 2016 – hmm, I kind of like the sound of that – it certainly would be a “dream” team. I think I would prefer it the other way around. I don’t want Bill, back in the WH and you know, he’s dying to get there. I have no doubt that he does, mth, but as I said in my Clinton post – they’re a political partnership. You can’t get one without the other. Condi-Hillary would be just fine with me, but we’re never going to live long enough to see two women, from two different parties on any ticket – so there goes that dream. Yes, Empress, there is the Party thing.. I did think at one time that Condi may run and I would have voted for her too. It would be a hoot to watch the talking heads bleed from their ears trying to figure out who to bash on that ticket. Imagine, Chris Mathews… Let’s see if he gets a tingling leg from a black woman, from the other party. Oh that would be fun to watch.